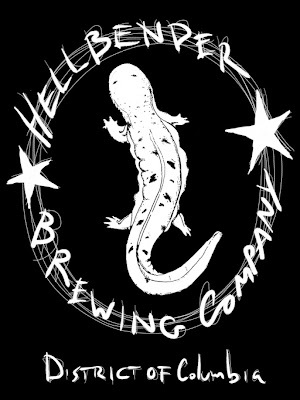 Welcome, Hellbender, Washington, D.C.'s newest brewery! 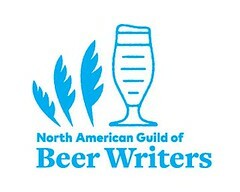 On 14 April 2011, there were only two brewpubs in Washington, D.C.—Gordon-Biersch downtown and District Chophouse— but no production-only breweries. Then, the following day, DC Brau shipped kegs of its beer, and it became the city's first production-only brewery since the Christian Heurich Brewing Company died in 1956. Skip forward, three and one-half years, from 2011 to this past Wednesday, 5 November 2014. That's when Hellbender Brewing Company began shipping kegs of its first beer, Red Line Ale, and thus became Washington, D.C.'s newest brewery, the city's fifth currently operating production brewery and its eleventh extant brewery or brewpub. 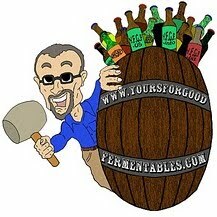 Owner/brewers Ben Evans and Patrick Mullane will open their brewery, and tasting room, to the public, for the first time, on Saturday, 15 November, at the facility in the Fort Totten neighborhood of the District, at 5788 2nd St NE.